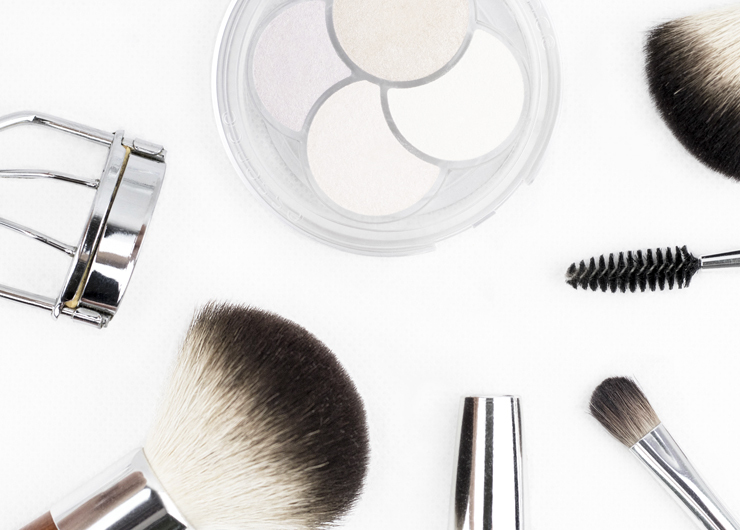 Join us for a C-Suite discussion with companies that are changing the face of beauty. Attendees will receive Blushington goody bag and entrance into a HeyDay facial raffle. Conor and Jon Namnath co-founded Tribe Dynamics in April 2012, after Conor discovered the power and potential of influencer marketing while working in Australia. With extensive experience in search marketing, reputation management and CRM systems, Conor and Jon decided that influencer marketers needed their own analytical systems and enterprise-class technology. What began as an intuitive theory shared by two long-time friends, the Silicon Valley based startup has become a leading authority in technical marketing and social analytics within the beauty, fashion, and lifestyle industries. Under Conor’s direction, Tribe has developed close relationships with some of the beauty industry’s top brands, organizations and publications, including WWD/Beauty Inc., CEW, and NPD, who feature the company’s analytics and expertise on an ongoing basis. Natasha joined Blushington in January 2015 as the company’s President and in June 2016 became the company’s CEO. In this role she is leading the expansion of the brand. Utilizing Natasha’s extensive experience in marketing and tactical brand building, Blushington is poised for significant brick and mortar and digital growth within both new and existing markets. Natasha leads strategic planning and operations, playing an integral role in the development of partnerships and product development that align with the brand’s luxury aesthetic, yet cater to the everyday woman. Natasha’s previous experience includes a tenure as the Director of Brand Management for CIRCA. Prior to CIRCA, she served as Vice President of Client Services and Media Relations at Pinnacle Management Corp. Natasha is a graduate of the CORO Fellows program and earned a B.A. from Washington University in St. Louis. She shares her love of New York City with her husband and son. Cindy has spent her career in beauty and fashion-related businesses. She has held senior-level positions for over 20 years in the beauty industry at major companies such as Revlon, Estee Lauder and L’Oreal. She has also been a consultant for a number of years, working on projects for the beauty industry as well as other entrepreneurial ventures. Cindy received her Bachelor of Science Degree from The Wharton School, University of Pennsylvania, where she majored in Marketing. Adam Ross is the President and CEO of HeyDay. He was formerly a Principal and Founding Member of Centerview Partners, a boutique investment bank, where he executed a variety of transactions, including mergers, acquisitions, divestitures, recapitalizations, and equity and debt financings for clients across the consumer products, beauty and retail sectors. Prior to Centerview, Adam was with UBS Investment Bank. Adam also sits on the Boards of Serena & Lily and Soludos. He was a co-founder of Soludos prior to HeyDay. Adam earned his undergraduate degree in Commerce (Hons) from The University of Sydney, his MBA from The Wharton School, University of Pennsylvania, and has also earned the right to use the CFA designation. Blushington is the premier beauty service and experiential retail destination with locations in Dallas, Los Angeles & New York City. Since 2011, our expert makeup artists and estheticians have provided the very best in personalized, modern beauty experiences from professional makeup applications, lash extensions and brow maintenance to skincare services, makeup lessons and more. We hand select and test every brand that we carry, offering only the best of the best in beauty. Our curated brands include; BeautyRx, Tata Harper, Sara Happ, Houer, Stila, Eborian and many more. HeyDay was founded with a simple notion: Skincare should start with an expert who heals with a human touch and helps you understand it all. We are a team of Skin Therapists who customize facial treatments and personalize product routines and advice – all to unlock the best in your skin. Our role in skincare is to treat and teach when you’re at Heyday and empower you to take care of yourself when you’re at home. That’s why we customize each facial, personalize every product routine, and provide individual guidance. Tribe Dynamics offers advanced marketing technology for lifestyle brands. They offer two main services – flagship Ambassador Relationship Management (ARM) platform as well as Competitive Analysis and Reporting based upon proprietary EMV metrics. Tribe prides itself in offering advanced, effective software combined with attentive and personalized service that informs all of our product decisions. We call it Software with Amazing Service™ (SwAS™).